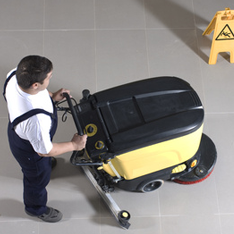 Rely on Dirt Busters for complete commercial cleaning services that will leave your facility immaculate and ready to receive employees and customers. We provide an extensive array of services that will help keep your property clean and safe. Our expertise and knowledge enable us to deliver perfect results for each of our clients. Dirt Busters’ professional commercial cleaning services will ensure your premises are clean, tidy and neat. Our team comprises highly-trained, skilled professionals who are committed to offering immaculate services. We emphasize efficiency and professionalism. to pay attention to the smallest details. We know that each commercial space is unique and has its own set of needs. This is why we always work with our clients to find the best course of action together. We are happy to design a cleaning plan that will satisfy any specific requirements. Let us know in advance if there is something we should pay attention to or if you have unique demands. Our dedicated staff uses high-quality products and state-of-the-art equipment that enables them to offer immaculate commercial cleaning services in Newcastle. No matter what your cleaning needs are, you can rest assured we will do all the heavy lifting and you will be receiving consistent, excellent services every time we clean your commercial property. We boast expert services and attention to detail that help us stand out from the crowd. Whether you have a small commercial facility that only needs weekly maintenance or a larger property that needs daily thorough cleaning services, you can always rely on the specialists at Dirt Busters. Window cleaning – allow us to make your windows sparkle! We are equipped with all the needed tools to do an excellent job. Our utensils enable us to reach as far as 20 metres. Our cleaning team guarantees a smear-free finish thanks to the distilled water that is used in cleaning all types of windows. Carpet cleaning – we provide a wide array of commercial carpet cleaning. Using professional detergents and powerful carpet cleaning equipment, we offer reliable results through extraction, shampooing, bonnet buffing and supplementary carpet cleaning. Floor cleaning – if you don’t have carpets in your commercial property, you can still rely on Dirt Busters. We have vast first-hand experience and knowledge in cleaning wood, laminate, marble, limestone or tiles. We provide sealing, stripping and polishing for any type of floor surface. Fire restoration – in the unfortunate event of a fire, the experts at Dirt Busters in Newcastle can take care of the damages, so you can start using your commercial premises again as fast as possible. We are committed to act efficiently, minimising damage and preparing the space for customers and employees once again. Kitchen cleaning – we offer our customers peace of mind through our complete kitchen cleaning services. Our professionals ensure all safety and cleaning standards are met. By designing tailored checklists to suit your needs, we guarantee exceptional results. The health and safety of your employees, business partners and clients are essential. Rely on Dirt Busters in Newcastle for a professionally cleaned commercial space that promotes happiness, productivity and wellbeing. We are always glad to develop strategic, tailored approaches to meet your demands and expectations. Reach out to us with inquiries, concerns, suggestions or appointments. We are eager to start working with you and help you keep your commercial facility in tip-top condition.